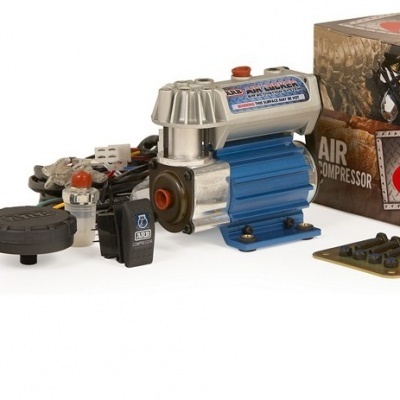 The ARB On-Board High Performance 12 Volt Air Compressor (Small Sized) is a vehicle mounted Air Locker Air Activation System, using a compact design that provides on-board air for activating ARB Air Locker locking differentials. The smaller sizing allows for greater versatility, supplied with a mounting bracket for multiple positioning. To ensure longevity, there is both moisture sealing and dust resistance, using quality components for reliability.